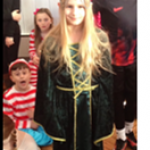 Children enjoyed celebrating World Book Day on Thursday with a special dressing up assembly. Staff read their favourite poems and we talked about the importance of books and reading. Thank you to parents for the wonderful array of book character costumes. The handwriting competition winners were announced for each year group as follows: Reception – Adaora Emechebe, Year 1 – Chloe Taylor, Year 2 – Sapphire Hagon, Year 3 – Chinaza Osaji-Okai, Year 4 – Tiffany Sosanya, Year 5 – Aimee Bradley and Year 6 – Dhiya Chagger. We had many beautifully written and presented entries and the standard of handwriting was very high. Winning entries will be displayed in the foyer. At the time of writing, Year 1 and 2 very much look forward to the tea party that they are hosting for their mums. We will be serving tea and cakes that we have decorated and giving our mums a special handmade gift and card. We have also learnt a couple of Mother’s Day songs and will be reading some of our thoughts and thanks for all the things that our mums do for us. We wish all mums a happy and restful Mother’s Day on Sunday. 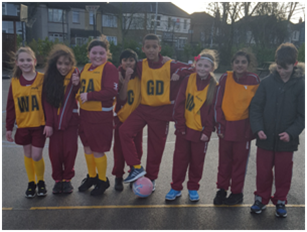 Our netball team won both their games on Wednesday night: they beat Squirrels Heath Junior and 5-3 and Mawney School 4-2. Well done, team! 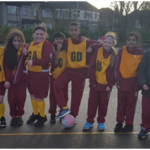 The children have written match reports, which will be displayed on the PE board. Don’t forget to send in your coins for lent games, which the children have organised and which will be continuing until we break up for the Easter holidays. We hope to raise enough money to pay all of our sponsored child’s school fees this year. Sadly, we have had more than one incident where children have made upsetting and inappropriate comments to one another on ‘Instagram’ this week. Please be vigilant and check what your child is writing and receiving through their mobile devices. If your child does not want you to see their phone, this could be a warning sign. Children should not have passwords or accounts that their parents cannot access, as this could make them vulnerable to cyber-bullying, or even online grooming. We have spoken to the children in school about how to keep themselves safe online, but would like to ask parents to play their part too. Reception- 97.33%; Class 1 and 2- 98.33%; Class 3 and 4- 99.31 %; Class 5 and 6 -99%. A really good week. Well done, everyone ! Commendations this week went to Kitty Higgins, Adaora Emechebe, Ellie Allen-Moss and Oscar Knight for trying their very best in phonics, Dylan Patel and Scarlett Clarke for taking our visitors on a very professional tour of the school, Faye Dignum for trying very hard with her writing and Nicole Mahoney for helping a friend with their work. Well done to all of you ! Class 3 and 4’s Work of the week went to Krish Patel for his well presented line graph, Reception’s went to Katie Snow for excellent independent writing and Class 1 and 2’s to Mojola Awosan for a throughtful written piece about why her mum is special. Well done to Bradley Allen-Guinane, George Dignum and Aimee Bradley for earning their place in this week’s Gold Book for excellent learning behaviour.